Leaves your carpets dry, fresh and safe to use. 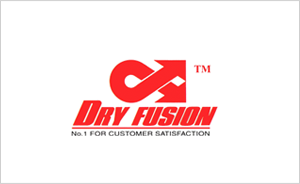 Environmentally Friendly Isle of Man Carpet Cleaning that dries in 30 Minutes Flat - The Dry Fusion system gives a new standard of cleaning never before available. StainBusters IOM are licenced Dry Fusion operators. The system cleans and dries at the same time - we guarantee the carpets will be dry in 30 minutes and available for use. StainBusters IOM carpet cleaning has been developed for today's carpets. StainBusters IOM carpet cleaning is the only carpet cleaning system that hot cleans, deodorizes, stain protects then heat dries every type of carpet. It's all in the same process, and because it is patented, nobody else can use this amazing system of cleaning. By taking all the best features of hot water extraction (hot solution, "Shot of Steam"), the best features of dry cleaning (low moisture, mechanical agitation) and combining them together with the patented hot cleaning pad system that constantly heats the fibres as they are being cleaned - you have some of the most outstanding results ever seen. Two unique mechanisms work to keep a Isle of Man carpet cleaners StainBusters IOM cleaned carpet virtually stain free to maintain that just cleaned look longer. A Fluorocarbon Resin (a Dupont Specialty) places an invisible protective shield over every fibre during the cleaning process. It helps prevent dry grit, dust as well as spills lodging within the carpet. Even walked in mud and oily spills have difficulty seeping in. Because the fibre is effectively "non stick" when you DRY FUSION clean, vacuuming removes more soil, plus the vacuum cleaner is easier to push. There is no other Isle of Man system like this – it cleans, adds stainblocker and dries in one pass. It isn't wet cleaning or dry cleaning. Isn't this what you need for your carpets? Your carpets left smelling fresh and clean. Stain protection that allows dust and dirt to be vacuumed away. Carpets dry in 30 minutes. Domestic or Commercial Customers Welcome. Customers are guaranteed satisfaction by gaining a brilliantly cleaned carpet . StainBusters IOM is based in Douglas - professional Isle of Man carpet cleaners, serving the Isle of Man for both Domestic and Commercial Carpet Cleaning.